President Donald Trump's grown children and their families have reveled in the first hours as the first family and have enthusiastically documented it all on social media. Washington: Backstage photos from the black-tie inaugural balls. A quick peek out the Truman Balcony to admire the view of Washington. A visit to the basement White House bowling alley. The Trumps' Twitter and Instagram accounts reveal much of the Trump clan is as comfortable with social media as its patriarch. Each of the grown children tracked their historic day as many Americans would — one post at a time. 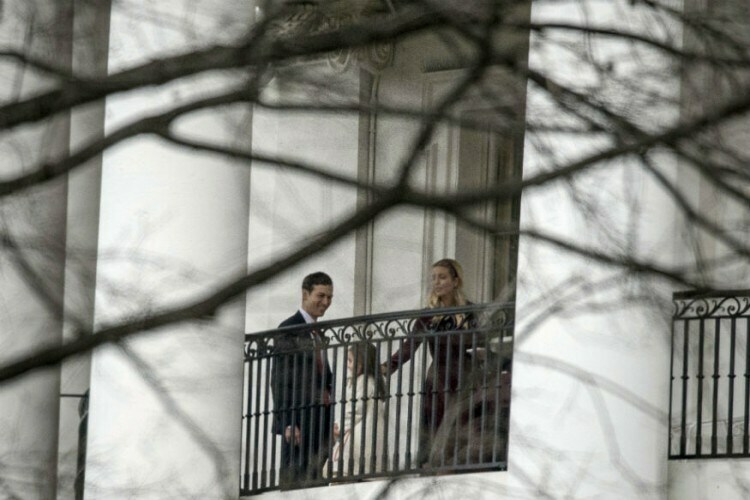 The build-up to the inauguration began days ago as daughter Tiffany Trump and Lara Trump, who is married to Trump's son Eric, posted photos of themselves prepping for some of the week's black tie-events. Lara Trump included a caption that read "Dinner date" and a smiling face emoji. Donald Trump Jr., the president's eldest child, documented much of his Inauguration Day on Instagram. He first posted a photo of his family riding in a presidential limousine on the way to the U.S. Capitol on Friday. Later, he posted a video of him dancing with his wife, Vanessa, at a ball, and then for his nightcap, an encounter at the family's new Washington hotel with the cast of the reality show "Duck Dynasty" and a slightly disheveled Fox News personality Sean Hannity. Ivanka Trump and her husband, Jared Kushner, a senior adviser to the president, chronicled her family's ride to the inaugural parade with an Instagram of the two of the couple's children secure in car seats rolling to the viewing stand. Each held a distraction in hand — one a tablet, the other a smartphone — a detail likely to earn knowing nods from many parents.